Ever wondered what happens to all that wasted food in supermarkets? No? Well South Norwood residents Laura Whittall and Paul Mitchell did more than wonder, they collect unwanted food every saturday morning to cook a three-course meal for their local community. Yes you heard right. They’ve been doing this every saturday for a year. 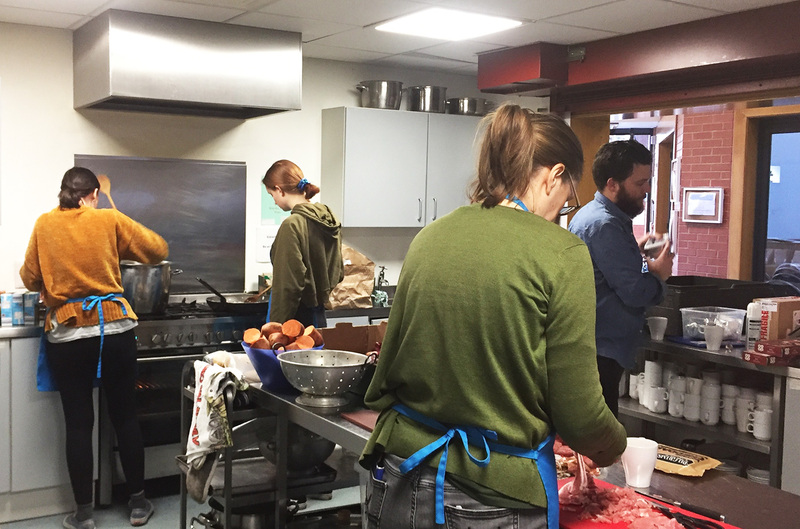 Last weekend I headed down to their charity, South Norwood Community Kitchen, to have a chat to the duo about the logistics of running such a worthwhile project. I arrived at South Norwood Baptist Church (from where the Community Kitchen currently operates) at 10am to find Laura and Paul busy with volunteers Jenny and Gudrun, prepping the food for lunch. Laura and Paul’s day started a lot earlier though, with the weekly trip to Deptford at 8am to pick up the ingredients from Fareshare (a charity that redistributes surplus food). Each week the ingredients are different (and sometimes rather ‘interesting’). They only find out what’s allocated to them the night before. Laura jokes that it feels a little like Ready Steady Cook. Paul describes last saturday’s ingredients as a bit of a lean week and also quite prescriptive in terms of what they could cook. 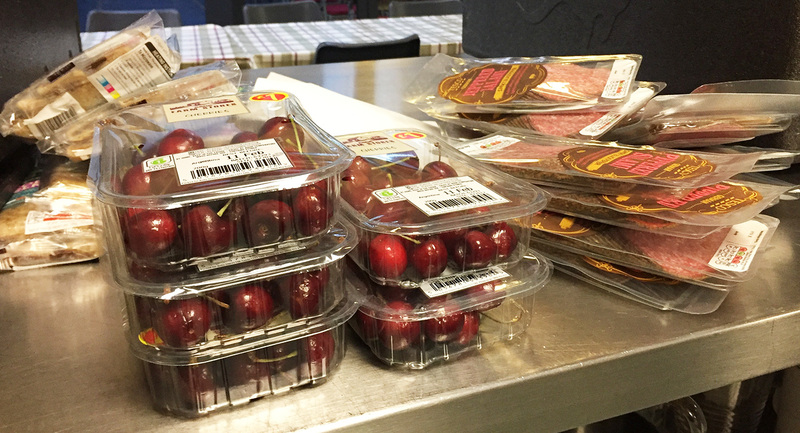 They were given cherries, meatballs, sweet potatoes, bacon, salami, a little bit of cheese, tins of tomatoes, cream and Christmas pudding. I think I’d be at a complete loss as to what to cook. But they came up with a three-course meal of stuffed potatoes skins with bacon and cheese, spaghetti and meatballs followed by a Christmas pudding Black Forest trifle. The dessert sounded genius to me. I used my incredible culinary skills whilst I was there to chop the potatoes! The cooking each week continues until 12 noon and Laura and Paul are accompanied by a couple of helpers from their rota of a dozen or so volunteers. Some weeks they arrange for a guest chef to come in and cook. Lunch is served between 12 and 2pm, and they usually have about 30 guests. Guests and volunteers alike pitch in afterwards to clear up. We grabbed Paul for a few quick questions in between the chopping and cooking. Croydonist: What led you to set up the community kitchen here? Paul: We had both volunteered before for different charities but we wanted to set up something of our own. We enjoy cooking and believe that food is not just something for people to enjoy, but it can also be used to bring people together and build a community. 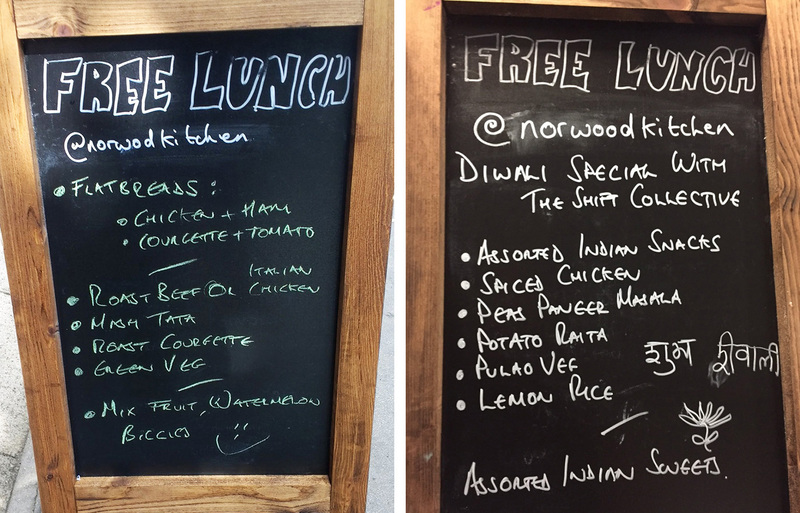 We love South Norwood and the many different kinds of people who live here, so it was about providing a space where locals could come and meet each other over some good, free grub. 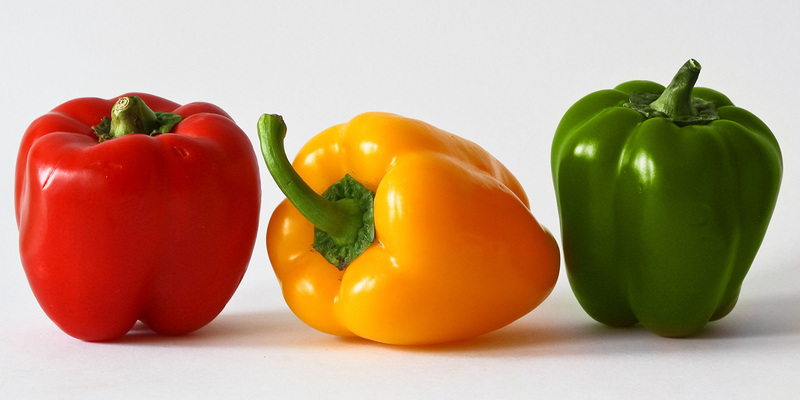 Croydonist: With such random ingredients each week, do you have a favourite meal you’ve served to date? Paul: Not so much a meal, but part of a meal. 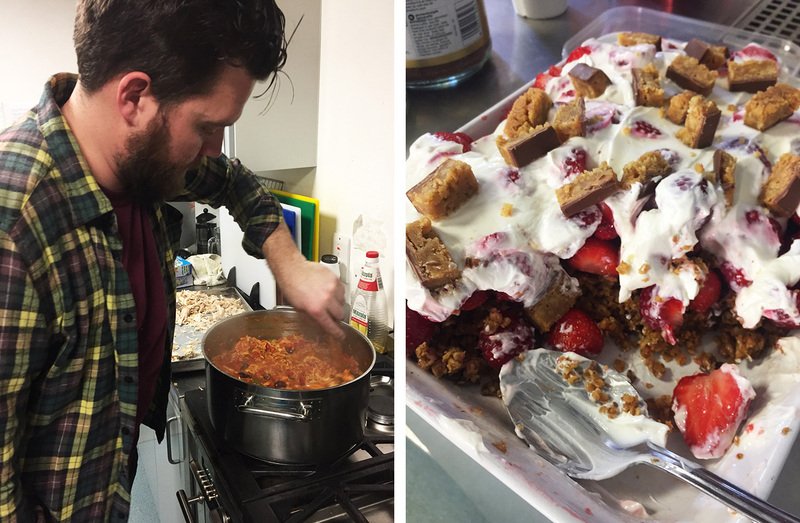 It has to be one of our volunteers, Tom, and his amazing croissant bread and butter pudding! It’s quite incredible what he can do with some stale croissants. The guests always come back for seconds, even thirds if there is enough! We try to be as diverse as we can with our menu and not to cook the same things twice. There have been more successes than not! Croydonist: Tell us more about your guest chefs so far? Paul: We had Shuba Rao, from the Shift Collective, who along with her friends cooked an Indian feast for our guests, complete with a traditional Indian dancer. We also had the chefs from the Shelverdine Goathouse cook us a roast dinner at Christmas time. This is something we are definitely looking to do more of in the future. Croydonist: Can anyone come for lunch, or is it only for people in need? Paul: It’s called a community kitchen because it is for everyone in the community. It is great to see two people from different walks of life having a meal together and breaking down barriers. Croydonist: What are your plans for the community kitchen? Paul: We would like to open on more than one day and also to have our own venue so that it can become more of an everyday community space in South Norwood. 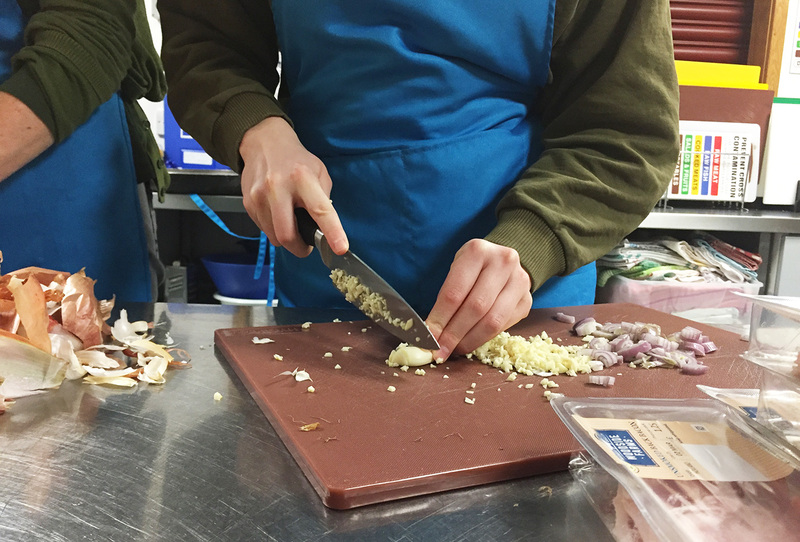 We’d also like to connect with more services and charities in the local areas so that we provide more help and support to those who come to the kitchen and might be in need. I think Ainsley Harriott would be massively impressed. Thank you to Laura and Paul for chatting to us and showing us around their kitchen. If you’re interested in getting involved with South Norwood Community Kitchen you can find out more here. Header image by Pixabay on Pexels, modified by the Croydonist. 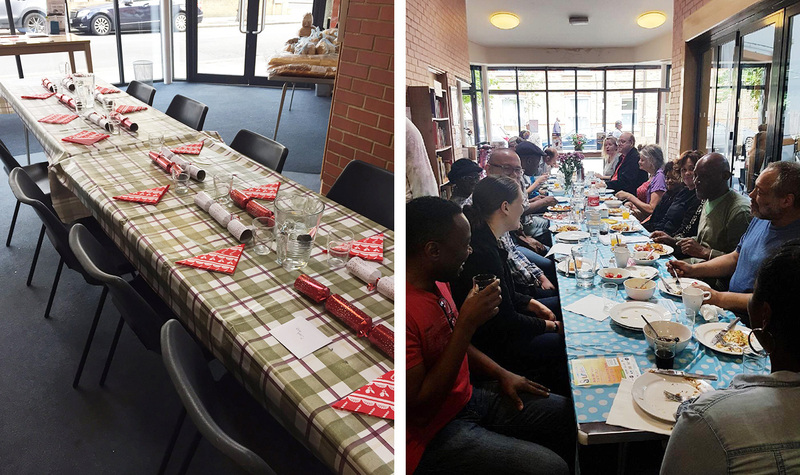 Article photos 4–7 courtesy of South Norwood Community Kitchen.